If you live in the greater Los Angeles area and have Time Warner Cable, you may want to tune into channel 176 and be among the first to watch ‘The Africa Channel’- a new cable television station dedicated to original news and entertainment programs from Africa. 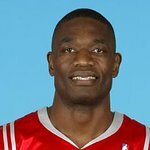 Congolese-born NBA star and humanitarian Dikembe Mutombo was among the first major investors in the idea of broadcasting African programming across America. He didn’t hesitate when asked to invest by Zimbabwean-born, James Makawa, the company’s CEO. Makawa, a long-time NBC correspondent, acknowledges that while most of what is reported in the mainstream media about the African continent is accurate, there is much more to the continent than HIV/AIDS, armed conflicts, hunger, and corruption. According to their video, "Foreign journalist focus too much on negative stories from the continent, for decades Africans have sat back and watched helplessly as people who hardly understand Africa tell their stories, that may change soon. " The Africa Channel launched last week at the California African Museum in Los Angeles, where hundreds of people, along with Mutombo, ushered in and welcomed a new outlet for bringing us closer to Africa and its beautiful culture.